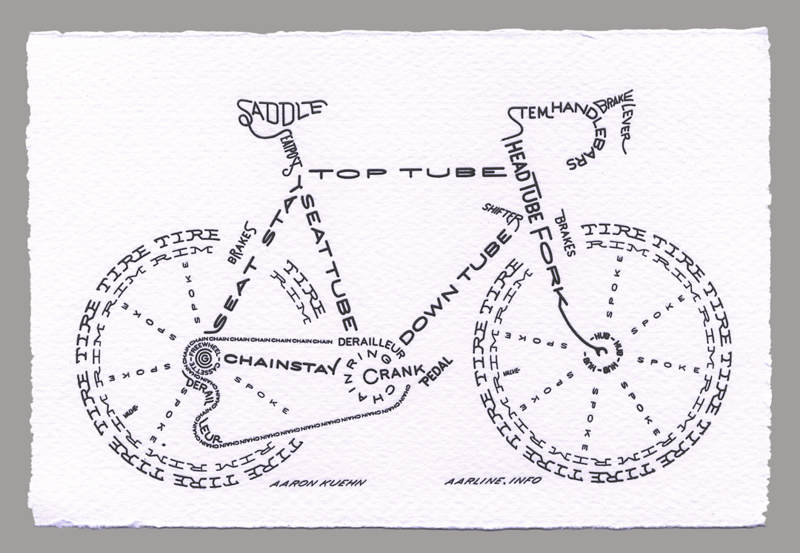 You don’t need to be much of an engineer, nor a cyclist to appreciate this typograph. All that you ever need to know of the basic components of the bicycle (somehow a recurring theme), and where they go, is here. Compare this to a handbook with technical drawings on where, how and which screw to loosen/tighten and in which way. Worth investing your time in if you are in need of repairing the bike if its broken, I suppose. But not enough to make people understand the bigger picture. These principles need to be used more in shaping social systems, like business and government. The power of simplicity is exercised through design.